Bodybuilding requires determination, endurance and a great level of commitment from an individual. This is not a short-term process and often tends to completely change one’s lifestyle. Bodybuilders are usually very health conscious individuals. It is difficult to find the perfect gifts for bodybuilders, but do not fear. Below are some great gift ideas that will help them on their road to success. Any single one of these gifts is sure to put a smile on a gym-nut's face when they open it. Plus, they are suitable for beginners, as well as seasoned bodybuilding fans alike. Bodybuilding requires a killer cardio routine to achieve the desired results. 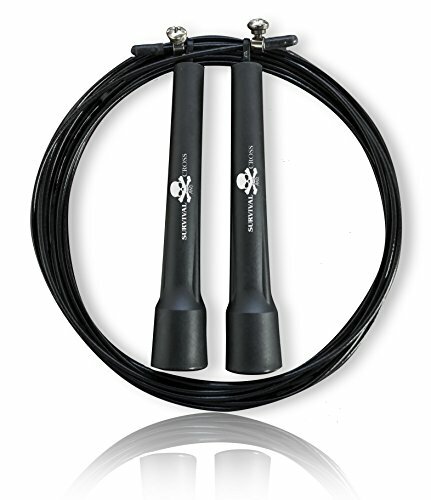 A good jump rope can help bodybuilders achieve just that, virtually anywhere. Jump ropes are easy to carry around as they don’t take much space and they weigh next to nothing. This beaded jump rope is made out of a highly durable material ready to take on countless hours of endurance jumps. Solid handles and ball bearings make using this rope a pleasure. It comes in a neat and compact carrying bag that can be placed in a pocket making it a great companion. Your bodybuilder will love making stops to use this little gem. A shaker bottle is an essential item for any bodybuilder to have. It can help keep them hydrated at all times. It can also be used to store post workout shakes that most bodybuilders use after a session at the gym. 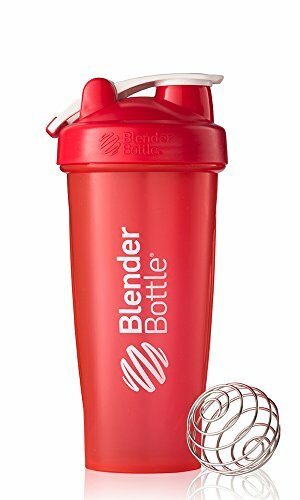 This shaker bottle comes with patented, surgical-grade, stainless steel blender balls that ensure that any protein shake mixture they add gets properly mixed. The silicon cap prevents any leaks. These bottles are safe and BPA free. As an extra bonus, they are also dishwasher safe. They are three available sizes and they can fit perfectly into almost any vehicle cup holder. This is a gift that is sure to be useful to the bodybuilder on your shopping list this year. This is a perfect gift for the techno inclined bodybuilder. It allows him to mix a shake and drink it anywhere, without the need for an extra cup. This mixer operates on two AAA batteries or a portable adapter that comes in the box with the mixer. The battery unit is detachable making the cup dishwasher safe. The 11,000 RPM motor tears through even the thickest formulas, allowing your loved one to forget about ever drinking a clumpy protein cocktail ever again. Plus, its compact size means it will not take much space up in the gym bag. Impress your awesome bodybuilder with this amazing gift. This tracker is specifically designed to accommodate the serious lifters. The technology behind this sensor is based upon the concept of velocity based training. VBT uses bar speed to determine how much a bodybuilder needs to lift. There are several training modes to choose from. It ensures that the bodybuilder lifts the correct amount of weight each session. Overall, this decreases injury risk due to lifting weights that are too heavy. This is a great gift idea for any gym enthusiast on your shopping list. 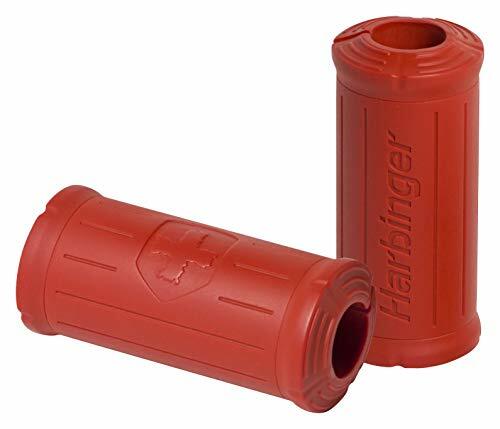 These thick bar grips will make training sessions much more pleasurable and effective. They convert uncomfortable barbells, handles and pull-up bars into thick bars that are much easier to grab and hold. Bodybuilding trainers say that thick bars activate more muscles during lifting sessions because the surface area of the bar is increased. This, in turn, helps build upper body muscle mass more rapidly. They can be used at home as well at the gym. They require minimum cleaning using a damp cloth after every bodybuilding session. They are very light weight and the compact size makes them easy to carry anywhere. These lightweight, wireless, water-proof headphones will be the perfect gift for any bodybuilder. 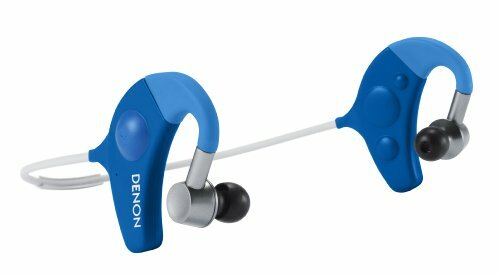 They will definitely help eliminate the annoyance of having the headphone wires constantly snagging on everything in the gym. These headphones feature 3.0 wireless Bluetooth connectivity. They have a wide range, reaching up to 10 meters. The built-in amplifier creates great heart-pounding music bass that will surely energize any workout. They come in a box with a rechargeable battery capable of playing music up to 7 hours. The flexible neckband ensures a great fit. The ear tips are made out of anti-microbial material that withstands dirt and bacteria build-up. These are a present sure to please this year. Many bodybuilders have a mini home gym, and this dumbbell set will surely be appreciated. Dumbbells are often a more useful piece of equipment than a barbell set. This is because dumbbells allow for more freedom in exercising. They primarily allow more motion to take place and provide better shoulder positioning, which results in greater sculpting effects. 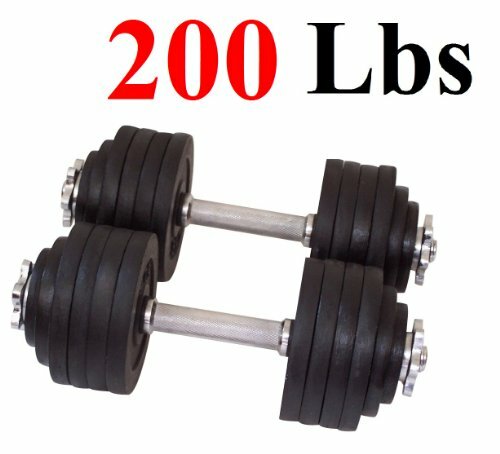 Non-adjustable dumbbell sets take up a lot of space and they are expensive. On the other hand, an adjustable dumbbell set costs much less, all the while giving your favorite bodybuilder the same benefits as the more costly set. Adjustable dumbbells also take up much less space. Your bodybuilder is sure to love a set of these. Most bodybuilders are on a specific diet plan that is either meant for bulking up or cutting down on body mass. These diets are some of the strictest ones and require precise food measurements. A food scale will allow them to weight out exact food portions and calculate exact caloric intake, in order to reach their body mass goals much faster.This food scale is easily powered by two AAA batteries and has an easy user interface allowing for a quick switch between ounces and grams. It is portable and small enough to fit in your pocket when you are on the go. This is a great gift for any bodybuilder that likes to keep an eye on their diet. Pull up / dip belts allow bodybuilders to easily add more weight to their dips, but allows them to do it safely by reducing the risk of getting any injuries. Adding extra weights to an already existing exercise plan means the bodybuilder can progress in strength and body mass gain much quicker. This belt is made of nylon with metal divots and can easily take a heavy beating for years. 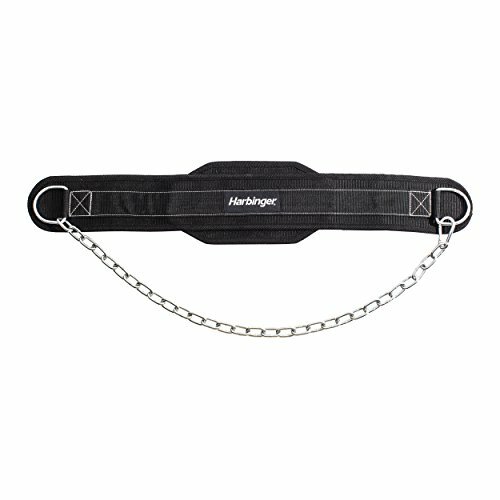 The contoured belt design provides great back support when lifting heavy weights while the 30-inch steel chain and metal carabiner can be adjusted to fit any size. This is a good addition to any weight-lifter’s gym bag and will make a great present. There are different kinds of people that lift weights, some are new and some have been doing it for years. However, almost all of them focus too much on the so-called “show muscles.” These include the chest, biceps and quads. The back, hamstrings and triceps are often neglected. This leads bodybuilders to develop muscle imbalance over a long period of time. An effective tool you can give your loved one to help solve this issue is the foam roller. It is used to release myofascial tissue by rolling it over the different parts of the body, such as the back. It reduces tension and improves blood circulation. This foam roller will fit perfectly in the gym bag. Give the gift of relaxation to your favorite bodybuilder this year with this handy gift idea. Even though the bodybuilding myth surrounding the need to eat every 2-3 hours has been busted and proven to be inaccurate, it is still vital for bodybuilders to eat meals at regular and timely intervals. It is very useful to prepare meals in advance and then take them to work, school or the gym.This food storage bag comes with 3-5 meal compartments, depending on the model. There are 3 leak-proof, microwave and dishwasher safe, containers and several pockets for storing snacks and drinks. The two side pockets contain freezer gel packs that are capable to keep drinks cooled for up to 8 hours. 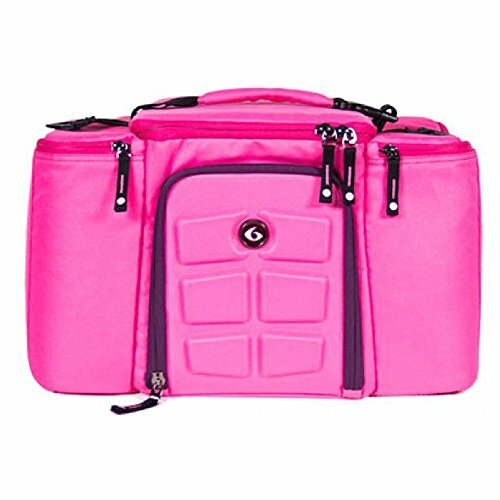 This bag makes a perfect gift for the bodybuilder that is always on the go. Many bodybuilders take vitamin supplements each day. 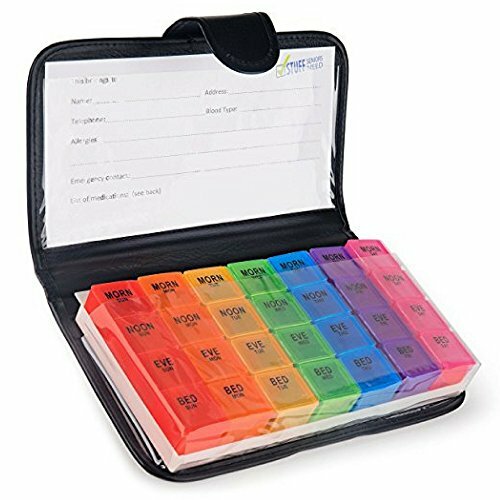 This pill organizer can be very helpful. It comes in 3 different sizes varying from S to XXL. The time-of-the-day compartments make it really easy to follow a schedule and not to forget to take a pill. Each compartment can store up to 9 pills at a time and is opened and closed through a Velcro closure system ensuring that the pills do not get splattered in a purse or the gym bag like they do with snap closure compartments. The compartments are large enough to store even the biggest pills that are currently found on the bodybuilding supplement market. This is a great inexpensive gift for your favorite body builder that he will really be able to use. Wrist straps become an irreplaceable item when a bodybuilder reaches a certain level in his training and begins to lift heavy weights for a much longer period of time. These weight straps will make lifting much more comfortable, especially in exercises such as heavy rows, deadlifts and pull-ups. Bodybuilding trainers often use wrist straps to help prevent the forearms from weakening during lifting sessions, resulting in the target muscles not being trained enough. These straps are made out of high-quality nylon and Velcro. They are machine washable and fully adjustable, so you don’t have to worry about whether they are going to fit or not. This is a wonderful addition to any bodybuilder’s workout kit. During the bodybuilding process, it is crucial for a bodybuilder to weight himself and record his body mass so he can effectively track his progress. 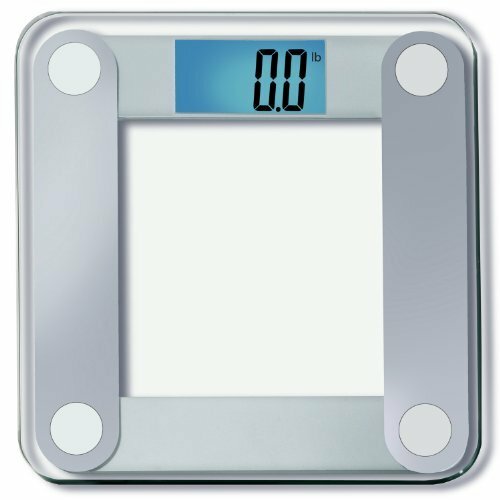 You can help your favorite bodybuilder do just that with this bathroom scale. This scale has four high precision sensors that ensure accurate measurements up to 400 pounds. The thick 8mm tempered glass is non-slip and break-proof. The scale turns on automatically. 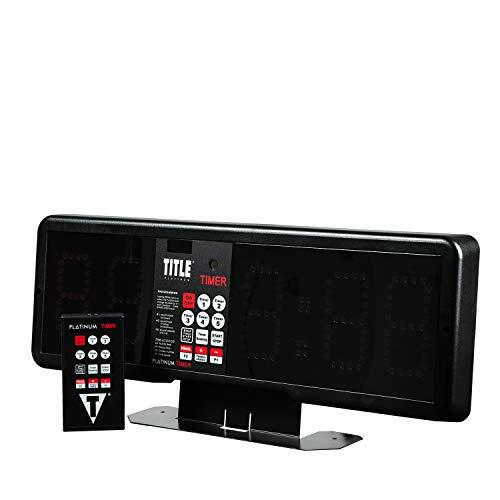 The LCD display has a bright blue backlight making it perfectly visible in any light. It is auto-calibrated and comes with four AAA batteries. This is a great gift that every bodybuilder will be sure to use. The tools that are essential for bodybuilders to use to take their measurements are tape measures and fat calipers. Every bodybuilder needs a measuring tape for quick measurements of the waist, arms, thighs, chest, shoulders, forearms, hips and calves. They use these measurements to help them adjust their exercise and diet plans. The body fat caliper is used to obtain an estimate of body fat percentage, which is also a crucial element of bodybuilding. This is done by measuring the thickness of skin folds in key body parts. This is a gift your favorite bodybuilder can use to take these measurements in the privacy of their own home, or anywhere they may desire. Every bodybuilder needs a good full-length mirror. A bodybuilder spends a lot of his time at the gym. It is very rewarding for them to see themselves in the mirror flexing a muscle or two. 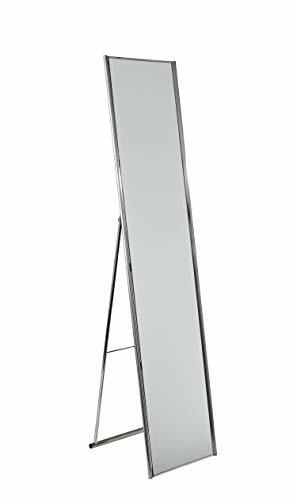 Competitive bodybuilders need to practice their postures often and this gift will surely help them.This mirror is 59-inch tall and is 13.5-inchs in width, making it just the right size, without taking too much space. It can be easily folded in two and put away for storage. Any bodybuilder on your list will be able to use this simple present this year. This is a valuable gift, especially to a person that is new to lifting. 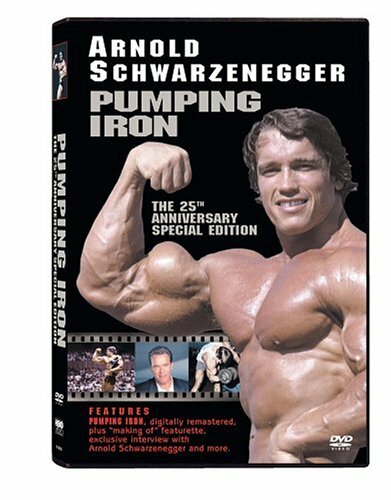 A classic documentary is ‘Pumping Iron’, which documents the life and training sessions of Arnold Schwarzenegger as he prepared and competed for his 6th title. It brings great insight into the mental attitude that bodybuilders must learn to achieve and sustain. It also talks about how that attitude turns bodybuilding into a way of life that affects other household members too. This documentary will give any bodybuilder insight into the history of weightlifting, information about nutrition, exercise suggestions and describe the bodybuilding culture in general. Give this educational gift to the new or experienced bodybuilder on your list this year. No bodybuilder wants to ever have a so-called ‘pencil’ neck, and they work tirelessly on building muscle mass in that body part. Neck exercises such as shrugs and deadlifts do a good job at training the neck, and for some this may be enough. However, if your loved one dreams about having a really strong and well-sculpted neck, he will have to pay special attention to it. Exercises that really train the neck muscles require a good, durable neck harness. 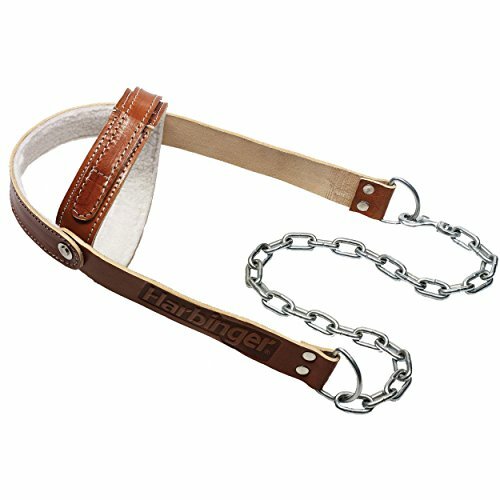 This neck harness is made from nylon yet it is soft enough to not irritate the skin on the neck. The metal chain and carabiners are capable of withstanding weight up to 200 pounds. Any bodybuilder will thank you for this great present. Bodybuilders need to have their protein and lots of it. This often means eating a variety of meats, from steaks to chicken breasts. Often the only problem is that good cuts of meat have plenty of fat on them. Extra fat means extra hours spent at the gym burning it off. 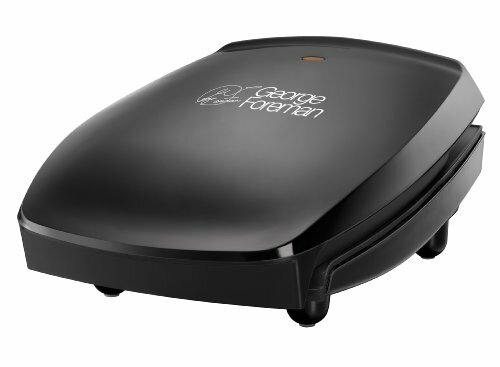 This grill is great for cooking meats. It is made using a non-stick coating which means less oil needs to be used. It is durable and has a scratch-free surface. Also, it has a specially designed fat removing slope that helps get rid of up to 42% of the fat for a leaner and tastier meal. The drip tray can be easily washed in the dishwasher. 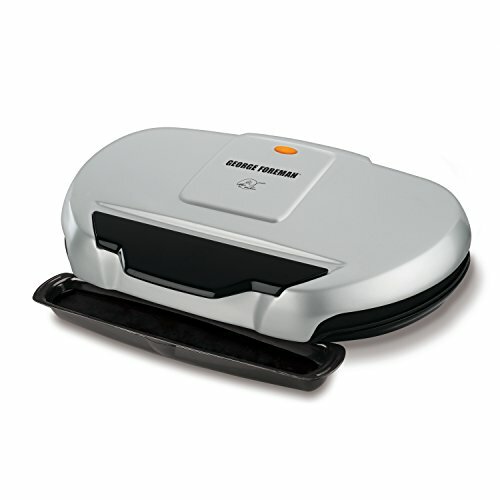 The Forman grill is a must have this year for your favorite body builder. Bodybuilders will love this moisture sensing, quick drying, workout shirt. Its non- slip properties make it perfect for weightlifting and it serves to prevent the back from moving or sliding due to sweat during bench presses. Plus, it can help to stop the bar sliding downwards during exercises such as squats. It is made out of high-quality spandex and nylon and can easily be washed on the hot cycle in the washing machine to get the sweat out after a good, long session at the gym. Give this gift today and put a smile on the face of your favorite gym enthusiast. An essential item in any bodybuilders’ arsenal is a good gym bag. It must be large enough to accommodate all the crucial bodybuilding supplies, such as shakers, bottles, foam rollers, towels, extra clothing, exercise bands and vitamin supplements. At the same time, it must be light and compact enough to be easily carried and transported around. Separate compartments will make things easy to find, while the durable polyester material is water-proof and will not tear easily. The strap is padded and easily adjustable for comfortable wear. 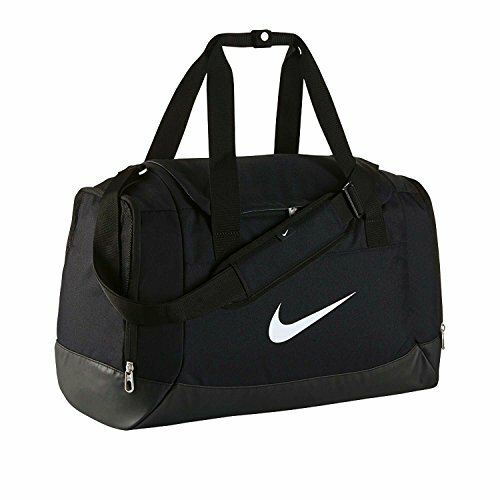 All bodybuilders can use a new gym bag now and then so they always make a great gift. This clock is designed for the gym enthusiast. It allows him to set intervals based on a number of rounds, length of work and length of rest. 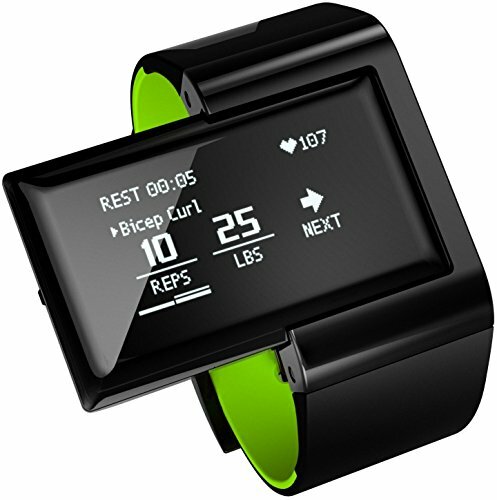 It is a very useful item for tracking cardio exercises. It comes with a remote control so you do not need to walk up to it every time to reset it. The big, 4-inch screen makes the numbers easily readable even from far away. It operates on 2 AAA batteries. It is often used by bodybuilders as a stopwatch to count the number of minutes one can hold a position with weights. Your loved one will surely enjoy competing with his gym buddies and this handy stop watch will be a great way for them to determine who wins. 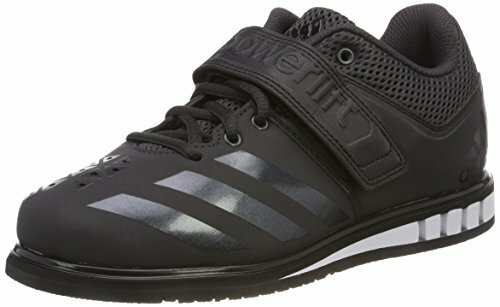 Weightlifting shoes differ from the standard sports shoes as their heels are made using a very solid material such as wood. Plus, the heels are raised at least by ¾ of an inch while the upper part has a strap to tighten the fit as opposed to the traditional laces. They serve one important purpose; not to slip and slide when a bodybuilder lifts heavy weights. They are much heavier than running shoes and are designed primarily to allow an individual to apply the maximum possible force to the ground when lifting.They will provide much-needed stability and ankle mobility during training. They are made using good quality imported mesh and the tops and sides have a synthetic material that allows the feet to breathe. Your bodybuilder will thank you for getting him a great pair of these shoes this year. Gymnastic rings need a little practice for a bodybuilder to get a hang of them. But once they do, gymnastic rings can help build a very strong and ripped upper body in a very short period of time. Your loved one will surely love the new challenge. 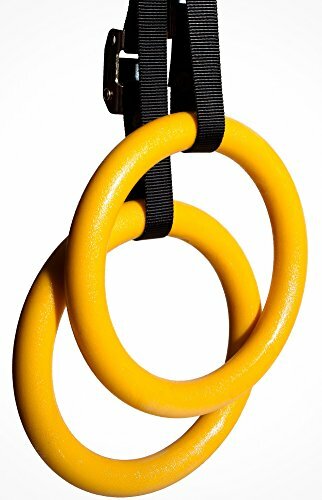 This set includes two gymnastic rings with adjustable nylon straps and sturdy metal buckles that are capable of withstanding up to 2000 pounds.The rings are covered with non-slip, graspable PC plastic to ensure that they do not slip during exercises. They are very easy to set up in different places, such as the home, the office or even the garage. You bodybuilder will like this unique gift this season. Putting classic push-up bars into the exercise mix can help a bodybuilder build up the forearms, back, and chest at a steady but fruitful pace, without straining too many muscles in the process. Exercises with push-up bars are a painless way to achieve bodybuilding goals. 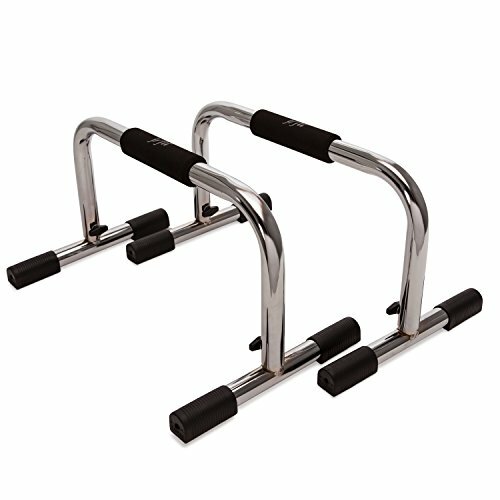 These 9- inch push-up bars are made from high-grade stainless steel and come with padded handles so they don’t slip mid push-up. The button of the bar has anti-slide patches so that the bar stays in place when pressure is applied. They are compact and can be easily taken along wherever your bodybuilder may wish to go. These make a great gift idea.